Well it’s been an eventful day! I’ve been very busy with teaching preparation over the last few weeks and I’ve not had any spare time at all to devote to getting out and about, but today I made an exception! I decided to head to high ground, where I saw freezing fog and I knew that when the sun broke through it would offer potential. Well it did and I made some images that I’m sure I will be processing soon, but I then headed to a second location, in the forest. 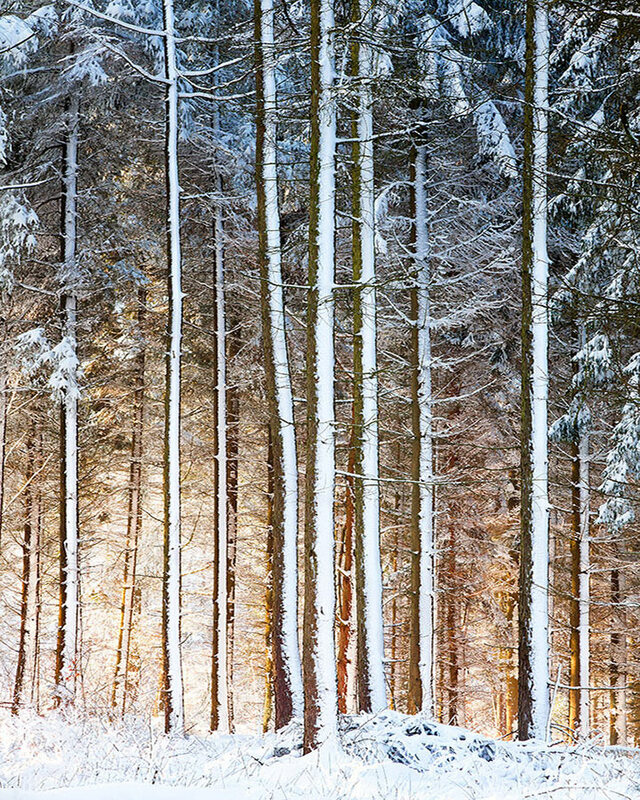 I wanted to catch the sun coming through the trees and if I’m honest I just love being in such locations in snowy conditions. Anyway, after a couple of hours freezing my toes I found this patch of trees that had very heavy cover and patches of sun breaking through at ground level. I’ve always liked top heavy shots, it pushes your eye back into the image, and with this in mind I made this one.